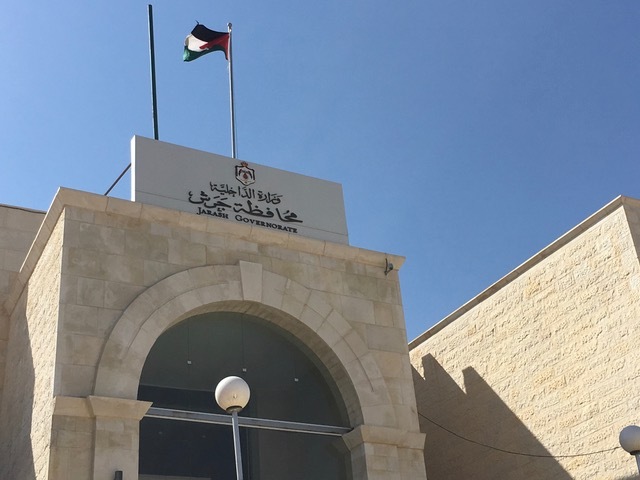 When I was in Jordan recently, working with GPG on support for the decentralisation of government, an article appeared in the Times of Jordan about a woman member of the Jordanian Parliament. The article dealt with a claim she had made that she had been defamed through the publication of a photograph of her, edited to include Daesh (Islamic State) flags. The MP made it clear that (although a member of an Islamic party) she did not support Daesh. The matter did not go to court, it was settled “in a tribal fashion” after a member of the publisher’s family visited her and reached some sort of accommodation. It was an interesting story demonstrating how Jordanian politics is intermingled with tribal and religious influences, factors dominant in recent elections to decentralised and local government councils. Decentralisation of power is seen by His Majesty King Abdullah as a key policy to enhance the democratic engagement of the population and he has adopted devolution as a major plank in his attempts to build representative democracy in Jordan. 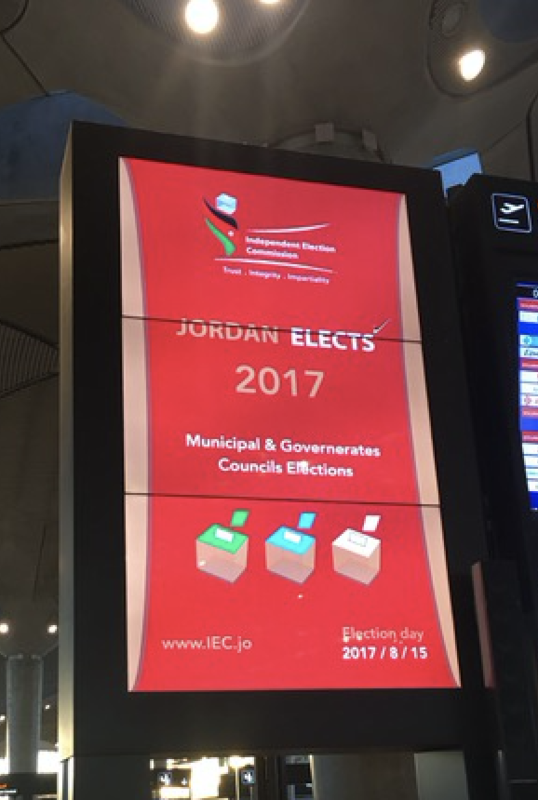 The first elections of Governorate Councils, 12 new bodies reflecting the existing Jordanian Governorates, took place on 15 August 2017, alongside those of municipal and local councils and mayors. Turnout was disappointing. Only 31% (1.3m voters in total) cast their ballots in the elections for their local government representatives. This was caused mostly by poor turnout in Amman, where most people in Jordan live. The experience outside the capital was better. We are working with the Jerash Governorate, where turnout was one of the highest at 57%, which would be very respectable for local elections in the UK. Female voter turnout was especially poor at a reportedly tiny 5%. This is despite the recruitment by the Electoral Commission of some 19,000 young volunteers to go door to door, explaining about the elections, raising awareness and encouraging voting. Some comments reported in the Times of Jordan the day after the election give us indicators about individual reasons for voting and not voting. A male voter – “I do not know the candidates I voted for. I was advised by relatives and friends to vote for them, and I would not expect much from them once they reach their positions. I think we will never hear from them again,” he said. Assisted by her granddaughter at the polling station in Zahran area, Um Mahmoud, a woman in her 70s, seemed more optimistic about the elections. “This is the first time that I participated in elections and I voted for a candidate who is a relative. I hope he is honest and trustworthy; he has a lot of expectations and promises to live up to,” she said. From our work with three pilot Governorates (Jaresh, Madaba and Karak) and our understanding of how the selection of candidates works, we know that family links and tribal loyalties play a significant role in the identity of candidates and in voter behaviour. Attempts to develop policy-based candidacies and alliances have had limited success so far, although parties based on religion have campaigned and are winning seats. The Minister for Political and Parliamentary Affairs, whose responsibilities include fostering the development of political parties, had hoped that decentralisation would see the emergence of more parties. “This is a chance for political parties, willing to have a strong foothold in the political arena, to win seats in the local and municipal elections,” Maaytah said, pointing out that all political parties have announced their participation in the elections and have started preparing their lists. “While governorate councils are entrusted with developmental, not political, tasks, the participation of political parties in the local elections stems from their attempts to develop their local communities” he said. A question for us is whether this strong family and tribal tradition of politics can be a foundation for policy-based parties. A sense of common cause and purpose was, after all, at the start of UK party politics, although the cultural background is very different in the Middle East. Jordan can build upon this most recent exercise in devolution. 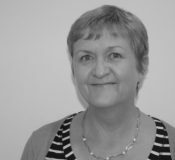 We know from experience in the UK that this takes considerable time. Devolved bodies have to prove their worth before people become fully engaged in an exercise in political representation which must, in time, deliver better outcomes for Jordanians.